When it comes to finding a good pizza crust recipe, many are on a lifelong search. Because let’s be honest- there’s nothing better than pizza made at home. But what if you can’t tolerate traditional flour? Or even any kind of flour at all? Is a good pizza crust recipe then simply an unattainable dream? No, my friend, it is not. There are plenty of ways to make creative pizza crusts without going anywhere near a bag of flour. Here are 10 different pizza crust recipes that use everything from polenta to broccoli for the pizza base. 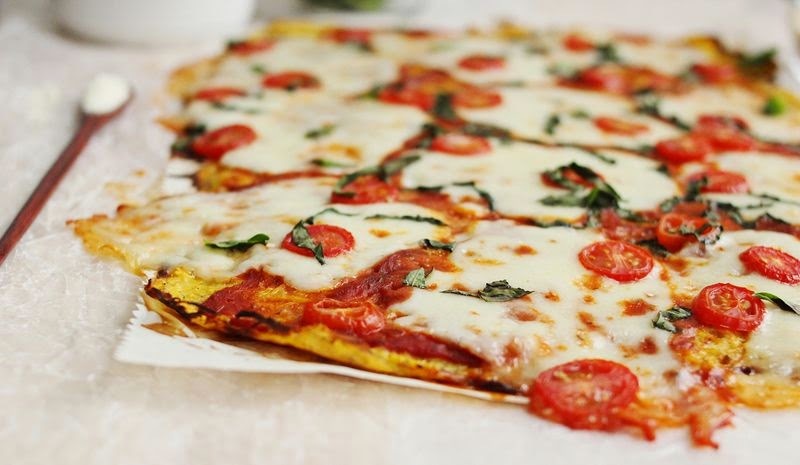 While you may think of polenta as a creamy side dish, it can also be used to make up a pizza. You can even make them in smaller rounds, since mini pizzas are perfect as a dinner party appetizer. Using a bit of arrowroot flour to hold it all together, this almond flour pizza crust is the perfect base for a margherita pizza. Cauliflower for a pizza crust? As long as you have a little cheese and egg, yes. The perfect way to make sure you’re eating enough vegetables too. And not to worry, if you need a dairy-free version, there’s that too. Don’t let broccoli feel left out with all the cauliflower pizza crusts you’ll be making. The concept for broccoli pizza crust is the same as with cauliflower, but you get a very green crust, which will brighten up the dinner table. If you’ve got an overload of carrots, why not turn them into a pizza? This crust, which is made using grated carrots, can also work well for other crust-worthy recipes, like a quiche. Summer days are close, and when they get here, chances are you’ll be wondering what to do with all of that zucchini. Your answer? 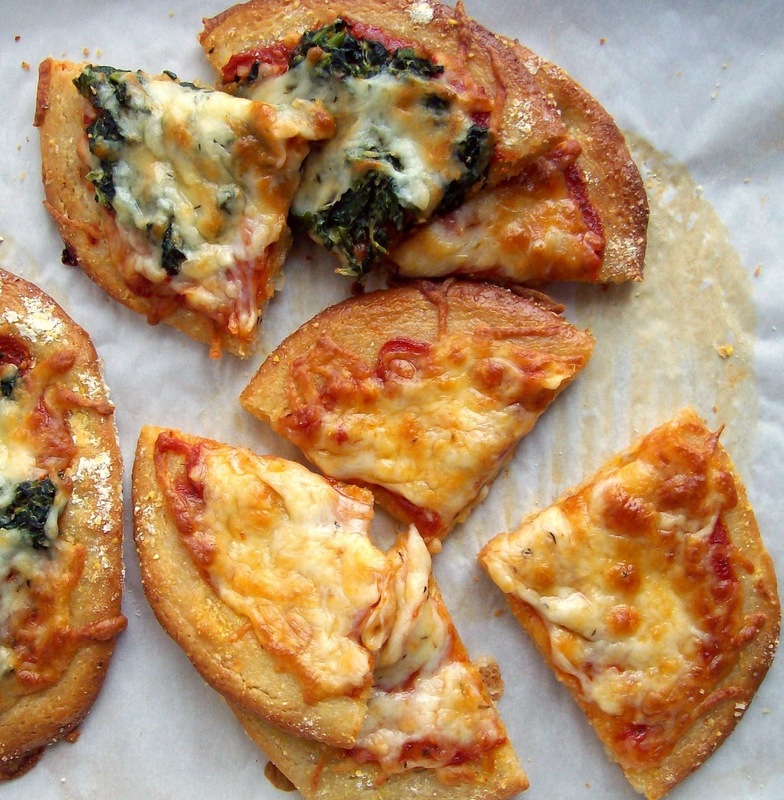 Test out this creative pizza crust recipe. If you really want to simplify the pizza making process, you can skip the crust entirely and opt for portobello mushrooms instead. They make perfect individual pizzas and you don’t have to do any more work than layering on a few toppings. This pizza crust recipe involves mashing together cooked sweet potatoes with almond flour. The result is a crust with a crispy outside and soft center that’s full of nutrients. Plantains are common in Caribbean cooking, but often, those of us living further north don’t always know what to do with them. Why not use them to make pizza? The plantains are mixed with a little tapioca starch and coconut flour to hold the crust together. This recipe takes on the same concept as the portobello mushroom pizzas, using the shape and consistency of butternut squash to simply serve as a crust replacement. All you have to do is slice the squash in the desired thickness and top away.